Warner Cemetery, Niagara-on-the-Lake, Ontario, Canada. 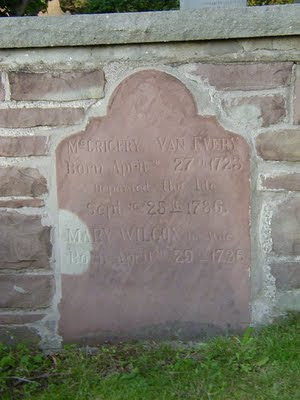 McGregory and Mary Wilcox were my great-great-great-great-great grandparents, and this is one of my oldest ancestral tombstones that has survived. I am indebted to a kind photographer I found at RAOGK for this photograph.